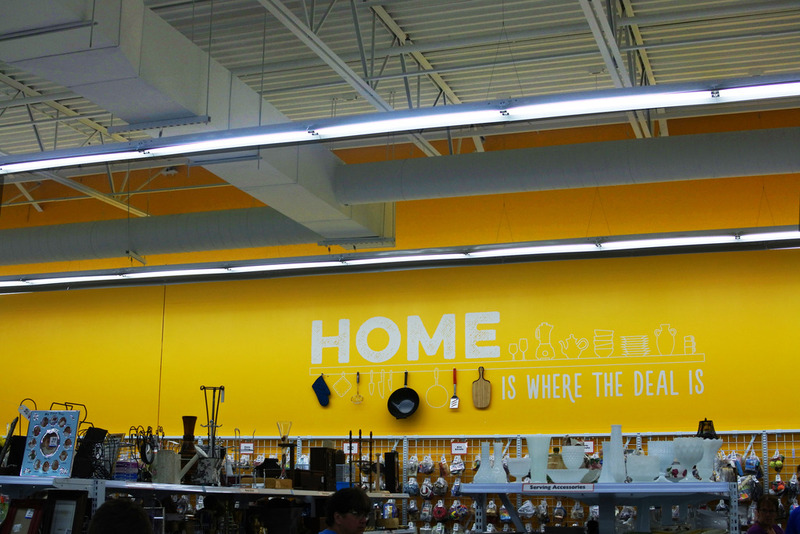 Recently a BEAUTIFUL new Value Village store opened in New Minas, and I had the lovely opportunity to take a little road trip with my bestie, and fellow blogger Mo (Lion-Hunter.com) to get a sneak peek! And now you can too! Cleverly styled the new store is bright, clean, and wonderfully organized, and a must for any thrifter or vintage lover. As much as I love to get inspired by other people’s style there’s also something to be said about finding one of your own as well. 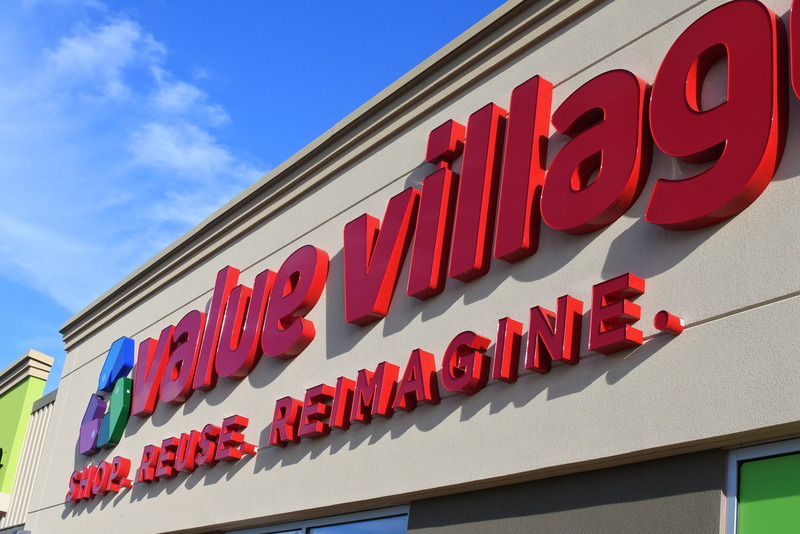 Similar to stores like Winners, and Marshalls, Value Villiage offers something a little bit different, and that’s personality. While thrifting takes a bit more work on the old noggin, and a bit of imagination it’s also incredibly rewarding! The best thing you can bring with you when you’re thrifting is an open mind. Attitude is key. You need to be in the right mindset and for the love of all that is holy don’t go in hungry because seriously who knows how long you’re going to be in there! The best thing you can bring with you when you’re thrifting is an open mind because you could walk by the coolest jacket, or the most hilarious t-shirt and completely miss it if you aren’t keeping an eye out. 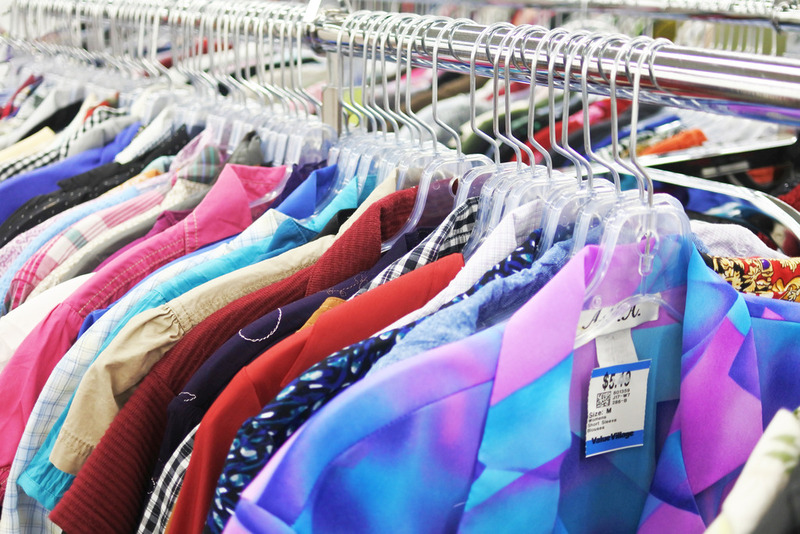 Onto a slightly more serious topic, and why I love the idea of thrifting. With the sheer volume at which we shop, we as a society (myself included) generate an immense amount of waste when it comes to clothing. We’ve somehow convinced ourselves that paying the same for a new shirt and a cup of coffee is okay, and we don’t ask questions about the repercussions. Now I’m certainly not here to point fingers, or place blame, or tell you how to live your life, but I would like to open you up to some alternative thinking (at least when it comes to shopping). 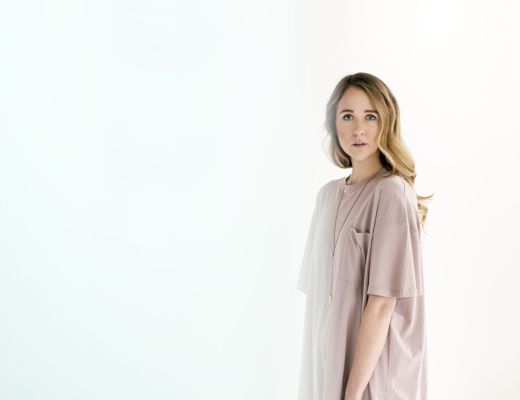 People can have an “idea” of used clothing, and tend to avoid it as a result, but I’m here to tell you that just because you purchased something in a clothing store doesn’t mean it’s never been worn. People try on clothes all the time (you do it yourself), and return it to a hanger to be bought by someone else. As well as a stylist I can tell you that clothing is also used for photoshoots all the time, and then the clothing is retagged and put back on the hanger to be sold (true story). And now that you know this, the answer is yes, you should always launder your clothing before you wear it. ALWAYS. When you think about it, there’s really not as much of a difference at all except that it’s SO much better for the environment. I remember when I was little it felt like a big place to play dress up. I always found Value Village super exciting because there was so much choice and so many possibilities. I still feel that way today. I’ve said it before, and I’m certainly not ashamed to say it again. 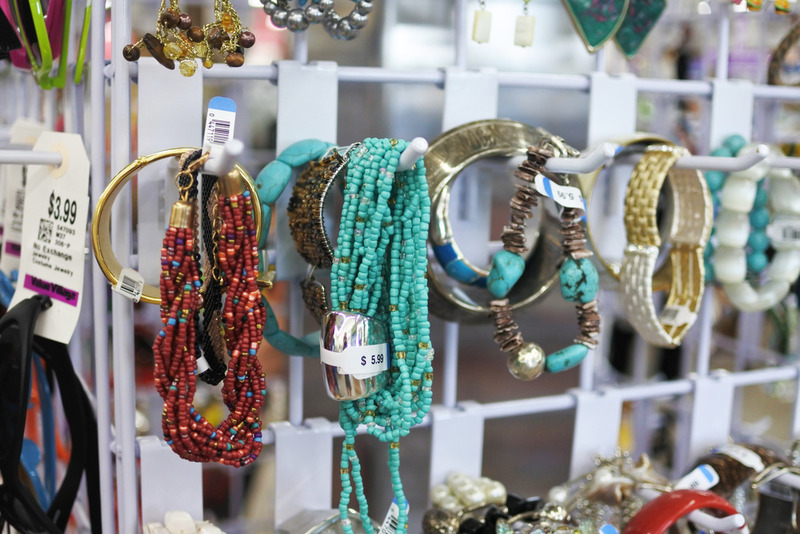 I had a very modest upbringing, and as a result, my mother did everything she could to give us the things we needed, and sometimes that meant shopping for us at Value Village. I mean kids grow SO fast what’s the point of spending a million dollars on clothes they are going to destroy anyway? I remember when I was little it felt like a big place to play dress up. 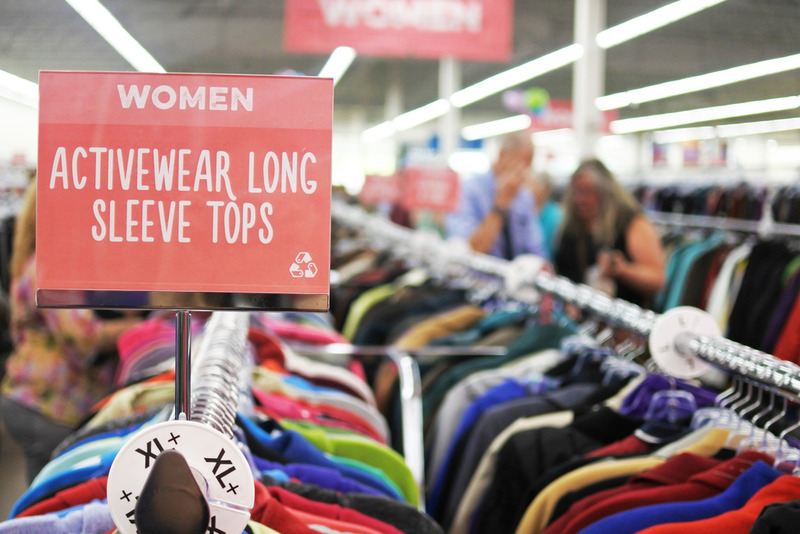 I always found Value Village super exciting because there was so much choice and so many possibilities. I still feel that way today. I found so many pieces the other night, but not to worry the giant fur coat did not come home with me – Phewf! that thing was heavy. I was wearing an entire outfit, and my purse under there, but you would have never known lol. You can’t go to Value Village and not try on something ridiculous am I right? That being said, I was very impressed with the design and organization of the store. 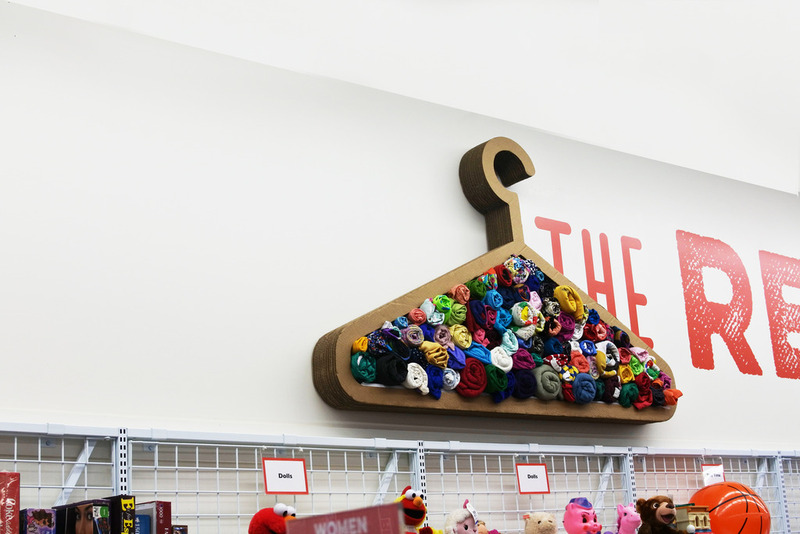 I fell in love with the adorable wall decor, and that giant hanger full of fabric! SO FREAKING CUTE! right? Everything was so easy to find and navigate it really sped up what I typically find -the usual monotonous thrifting process. Also, can we talk about the number system for fitting rooms? I took my number, noted there were 20 people ahead of me, and literally went shopping around a bit more (tried on a couple things over my clothes), and then came back to try on jeans and things and it was my turn! It was brilliant. I found some really great pieces that I know I’m going to wear again and again. I can’t wait to share them with you. Be sure to check out my Instagram story and Snapchat @shortpresents, as I’ll be doing a little Value Village haul over there later today. And if you’re interested in checking out the new store you should! I’ve been told that each store has more than 100,000 items on the sales floor at any given time and they get 5,000 new items every day. 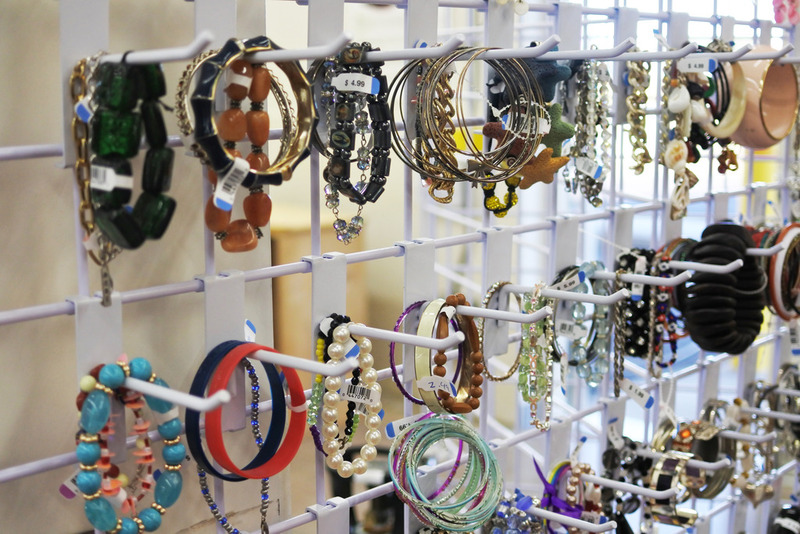 It’s a perfect place to find great items at low prices, especially if you’re shopping for vintage clothing or unique décor pieces! The new store is located at 9256 Commercial Street, New Minas, Nova Scotia, and it’s TOTALLY worth the road trip if you live in the city. Wolfville is also super fun to check out, so you might as well make a day of it! 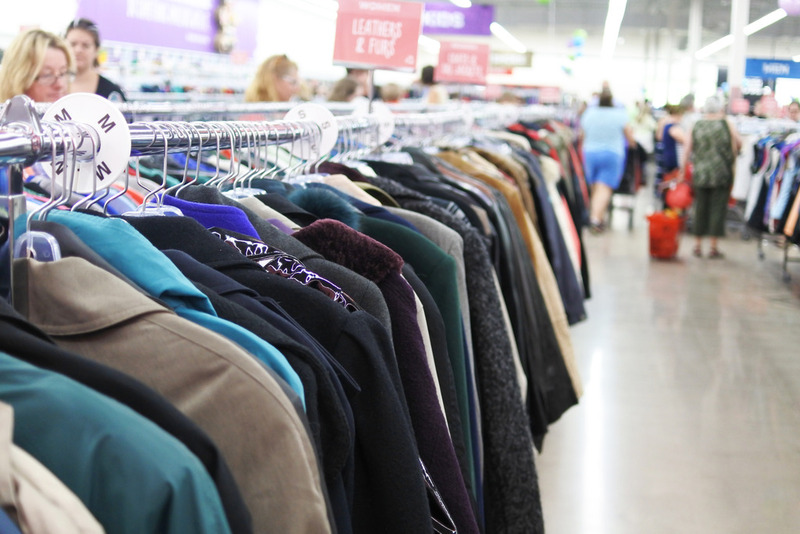 DON’T MISS OUT: to celebrate National Thrift Shop Day on August 17, Value Village stores across Canada will host a one-day sale where thrift shoppers can save 50 percent on all clothing, shoes, accessories and bed & bath items. 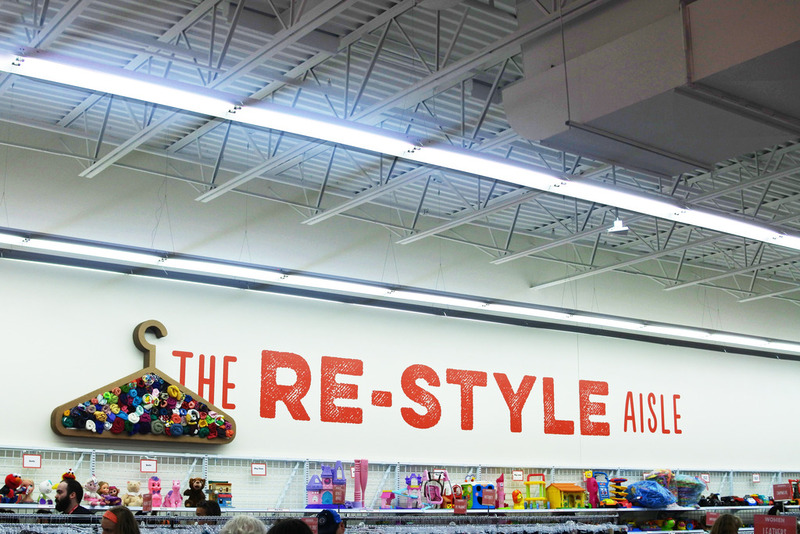 For more information be sure to visit www.rethinkreuse.ca to learn more about Value Village’s Rethink Reuse campaign and #IGiveaShirt. Connect with Value Village via Facebook.com/ValueVillage, @SaversVVillage on Twitter, @ValueVillage_thrift on Instagram and Pinterest.com/SaversVVillage. This post was sponsored by Value Village; however, all opinions expressed are my own. I love shopping at Value Village for home ware items! If ever I feel like I need something to complete a space I always check out thrift stores before shopping anywhere else. I have purchased so many unique items at a fraction of the price, and can always find a couple things to DIY. I even made a whole gallery wall for under $15 using gold spray paint and 8 frames from Value Village! It doesn’t get better than that. I’m a university student so buying from thrift stores means I can afford to make my house beautiful. That is such an amazing idea! I love it, and it’s kinda of cool to know you put your stamp on it hey?! We are huge Value Village fans! We’ll have to check out the new store soon. LOVE your pics! Thanks girl! Yes you really do it’s so pretty, and well organized. You’ll love it.